"Power Level is a measure of the overall power of your character. All active spells and abilities are modified by Power Level and become more powerful as you gain levels. Some items, spells, and abilities, may also influence your Power Level (positively or negatively)." - wow, someone has written forks on the water. I mean, it says nothing about how this ability will progress. But how will do i know it, when i see all of it first time? How can i measure ability efficiency for my build? There is no options to do it. Come on, guys, on the game launch, you bosted of "how many variations of classes might be in game" (i remembered Josh face and many numbers flying around). So, it's difficult to build charachers without knowing how exactly all abilities scales. Second one: when we choose abilities (and this is true for abilities granting from various items), we able to see only base duration. So i must check character's screen for his Int attribute and then calculate in my mund total duration of ability to deside it efficiency? PROPOSITION: Return, in effect decriptions, abilities duration scaling, according charachers Intellect attribute - like it was in PoE 1. Edited by Phenomenum, 09 September 2018 - 07:28 AM. Hmmm... While I mostly agree with you, because I generaly like to know details of game's mechanics, I can also see, that this may highly depend on individual approach to the game as well. Anyway, I think that in case of Deadfire, we don't really need those details also, if we play on "normal" difficulty levels. However... if we are fans (I'm not really) of so called "power-gaming" and we absolutely need to play on PotD to have sattisfactory challenge, then yes - knowing details of the mechanics would be most appreciated. I would appreciate it anyway, since, as I wrote, I simply like to know them. My point is, that from "certain point of view" (as Obi-Wan would say) they are not really that neccessery, because on "normal" difficulty levels, one will be fine with any builds one will create - hence, one choose such talents/abilities, with best suits one's playstyle and hero (regardless of damage output, or whatever). 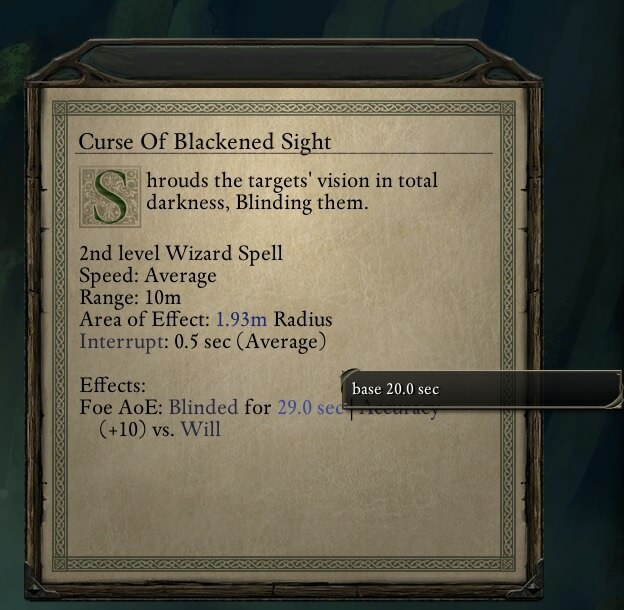 I've been lamenting how generic ability descriptions are since the backer beta days, so count me in on this one. Thank you for answer! Yes i'm familiar with Requiem - it seems fine at first sight but it not solves all Skyrim problems + adds some new. 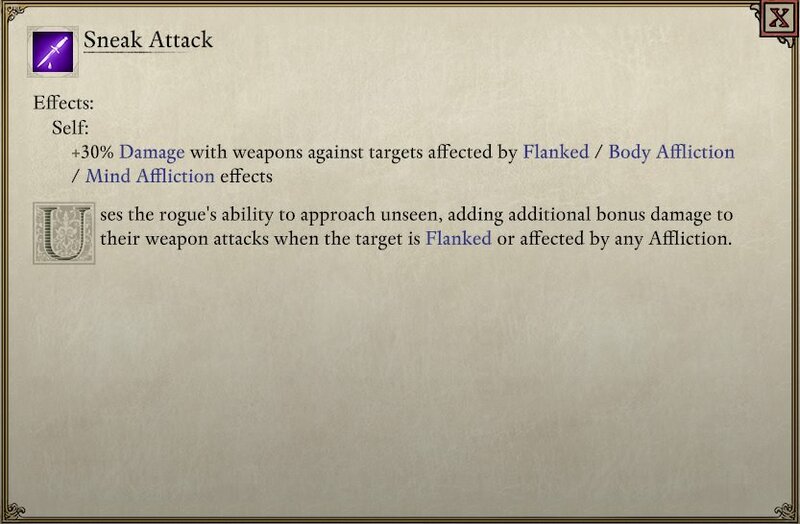 In case of Deadfire, even in Normal difficulty, i'd like to know full info of abilities. When i playin' a tabletop games, like D'n'D, Pathfinder and so on, all abilities have very presice descriptions - so why we not deserves it for PC games? Edited by Phenomenum, 09 September 2018 - 08:35 AM. At least, why all abilities duration don't corresponding with charachers Int attribute, like it was in PoE1? "+N% of targets Health lost" - what does it mean? I don't get it. Why just write a "+N% Damage for every percent of target's Health lost below 50%" - this is how ability actually works??? Is this so difficult? Is this will break down roleplay IMMERSION for someone? Edited by Phenomenum, 09 September 2018 - 09:16 AM. Everyone, who shares my opinion, - lets hype a little for bring it to devs. I don't know if this has changed, but I also would like to see the complete description when crafting items. Last time I saw you had to click again on the item's picture to see all of its effects. With new UI in 2.1 patch beta it's changed - now you can see full consumable descriptions in craft menu. I like it. Heh. Well, as I said, I like to know the details of the mechanics anyway, so you can count me in. I imagined that they would change it. Agreed, the descriptions are horrific. So, how is it possible that they've gotten significantly worse from PoE1, as the OP suggests? I have no idea. 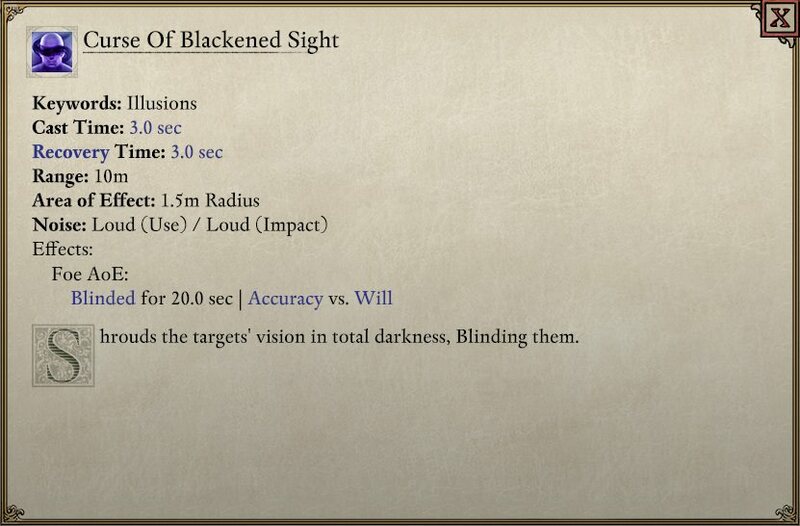 But it seems that Obsidian thinks that bad descriptions of abilities and mechanics are a must-have. I can only imagine that they write lots of the stuff during development - when it's not entirely clear yet how abilities finally work. So they have to be vague. And then later there's simply no time to refine them. That - and with the constant changes to abilities due to balancing it's better to have vague discriptions because then you don't have to update them very often. Edited by Boeroer, 10 September 2018 - 02:09 AM. Still remember when I've chosen some cipher level 1 power (Antipathetic Field, I think) which says the beam will affect enemies between you and your target except it will affect anyone, friend or foe. Party didn't approve. That's downright sabotage. Haha, same thing happened to me. I was so happy about how strong my cipher was and then he more or less killed the whole party since he was on the back row with range weapons. I can't imagine how someone must feel who doesn't read the forums at all and just plays the game. There's a lot of tooltips that don't add up to the actual function. Maybe they should make a DLC only for streamlining things with no new content. At least they'd have the time then as I understand that they're on a tight budget and all. I'd buy that DLC. You might be on to something here. That's a really good potential explanation. Which, of course, doesn't make it an acceptable way of doing things. Edited by Phenomenum, 10 September 2018 - 03:37 AM. IIRC Josh mentioned most tooltip information is procedurally generated by the engine. BMac would likely be the guy for this stuff. Ι specifically agree on the second point. I agree with every part of the opening post, but the lack of attribute values in the tooltips in particular is just weird.